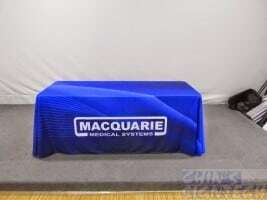 Print trade show table covers with logo professionally present your company image. 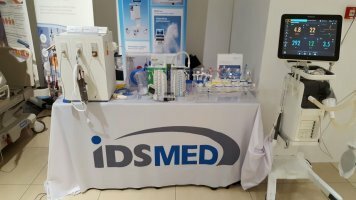 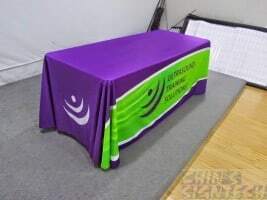 Turn your simple exhibition table into a professional looking ! 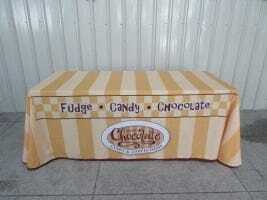 Are you exhibiting at a trade show or getting ready for a corporate event? 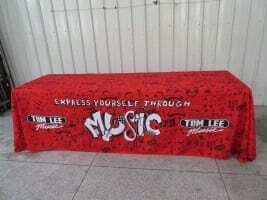 Need a table cover printed with your logo for a trade show? 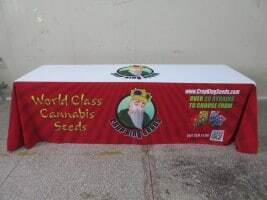 We can custom printed logo or design for custom covers to fit your need ! 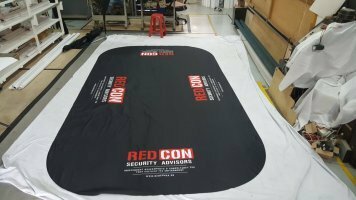 Our fully washable table covers, or printed table cloths as we call them, should help you to showcase your company amongst your competition. 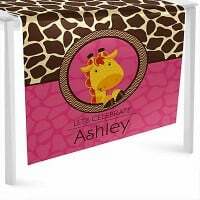 Single, multi and full colored printing options are available to meet any need. 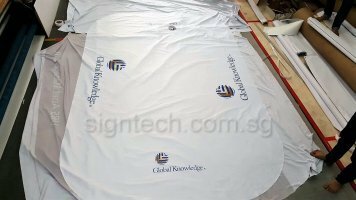 By simply placing a texts, with full color graphics or logo at an exhibition table, hundreds or even thousands more people will start to associate your company name or service with an image. 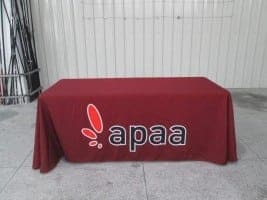 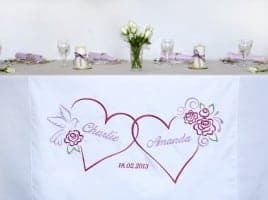 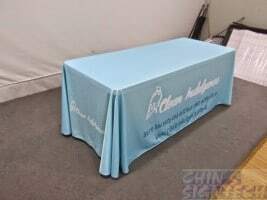 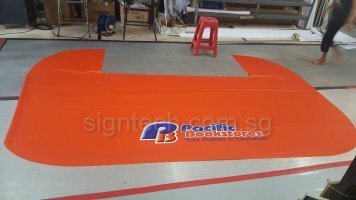 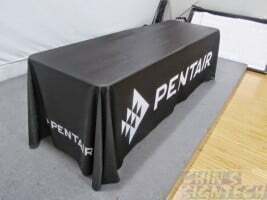 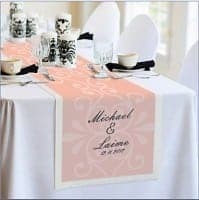 Table throw, also known as custom table cover, offers an eye pleasing yet economical way to cover up unattractive tables, that will separate your business from the contest. 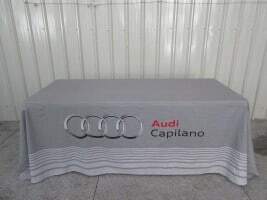 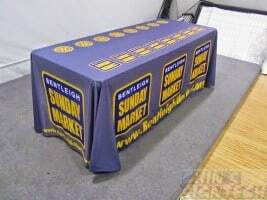 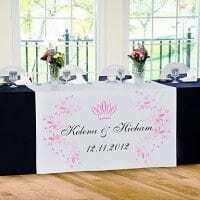 Boost your chances of attracting customers and gaining business with these Custom Made Table Cover ! 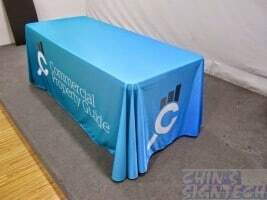 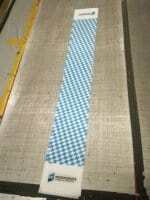 We offer two different types of trade show table cloth printing for you to choose. 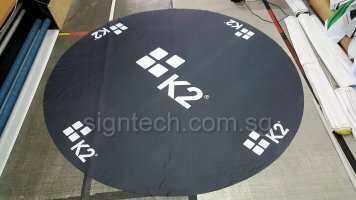 Different design of Table covers for Exhibition and trade shows. 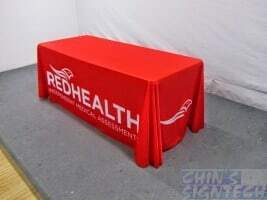 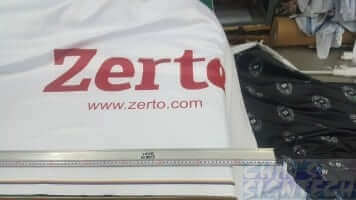 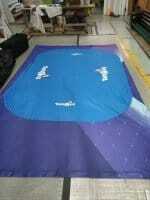 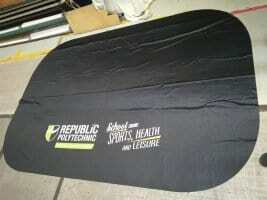 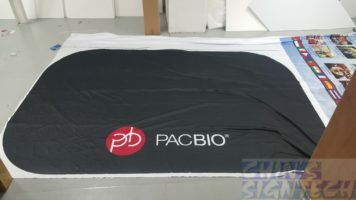 Is the fastest and easiest solution to display or dress up an exhibition table with your logo or massage on the fabric. 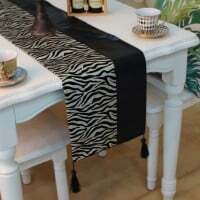 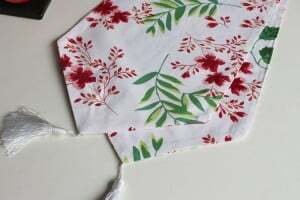 Just place the narrow fabric on top the table which actually hangs over the edge of the Table Cover. 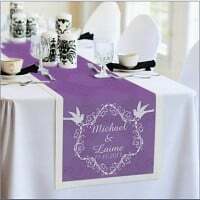 Some companies opt to print their corporate message or logo on the Table Runner instead of the whole Table Throw. 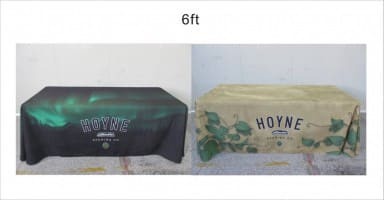 This is actually an ideal solution, if, for example, you are an entrepreneur or reseller who attends many different business venues and represents more than one company name. 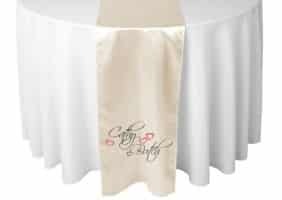 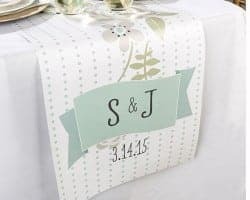 In this case, it will lighten your load a little, as you will only have to carry around few Table Runners, rather than several. 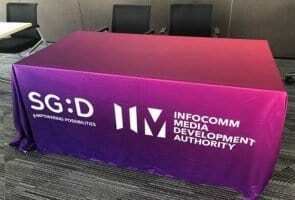 Table Runners allows for seamless transitions between one exhibition and the next. 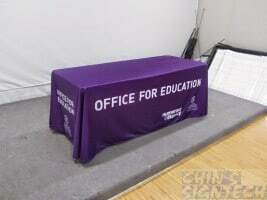 If, for example, you have several seminars on the same day, all you have to do, in terms of actual stand preparation is to remove your Table Runner and replace it with another. 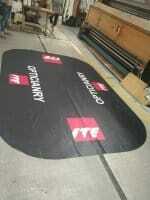 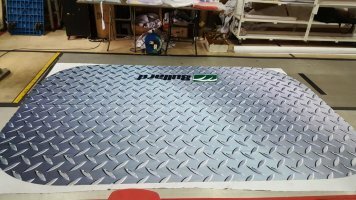 Custom made a trade show table runners, give your booth a professional look that conveys your organization’s style. 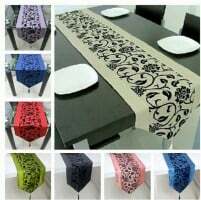 You can also use the table runner to decorate the table with nice printed design on the fabric. They can be use for wedding, birthday or restaurant table. 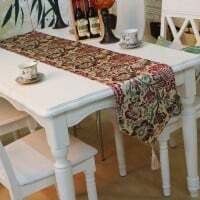 The normal table will become more stylish and elegant.